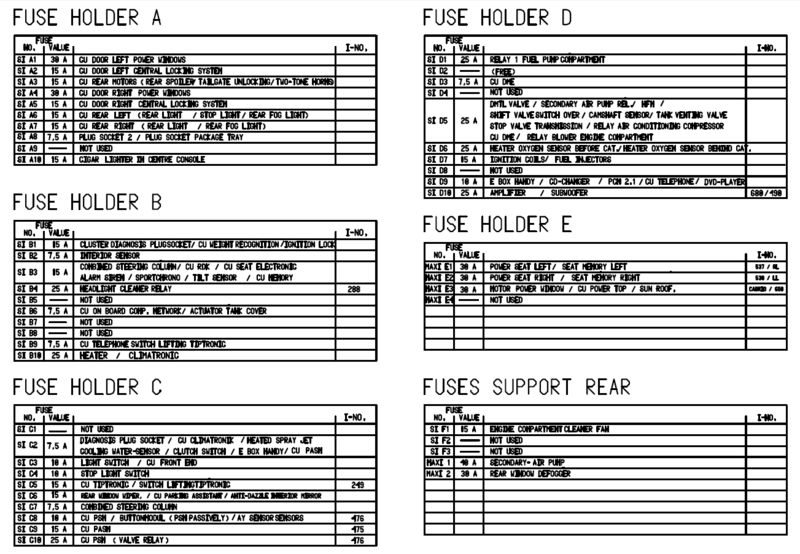 Does Anyone Have A Fuse Panel Diagram for the Cayman S 2006? Did you look behind the fuse door cover - that is where the printed copy usually is. Thanks a lot, it's just what I wanted. My car is used and there is no package in the fuse box. Excuse me for my bad english.